From Mumbai to Jaipur, Ajmer, Gorakhpur & Jammu Tawi Ahmedabad to Patna, Gandhidham to Amritsar and Udhna – Agra Cantt. 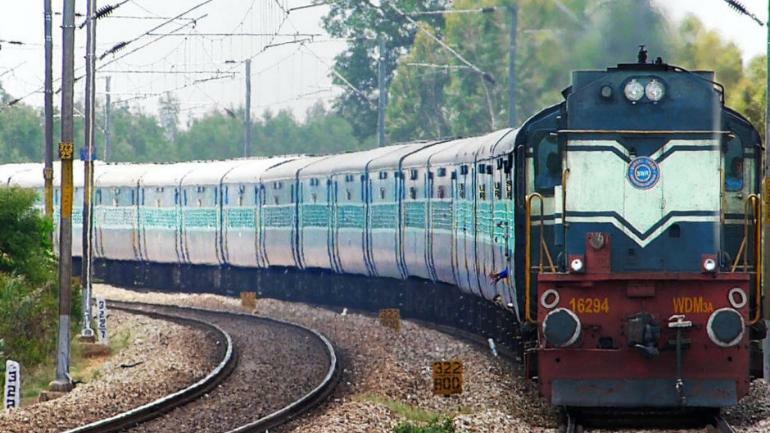 To clear the extra rush during summer vacation Western Railway planned to add 136 services of 8 more Summer Special trains from Mumbai to Jaipur, Ajmer, Gorakhpur & Jammu Tawi, Ahmedabad to Patna, Gandhidham to Amritsar and Udhna – Agra Cantt. Earlier they announced 186 services of 8 summer special trains to various parts of India like New Delhi, Indore, Gandhidham, Patna, Mangalore. As per the press release issued by WR CPRO Ravinder Bhakar after inclusion of these new special trains, the total number of Summer Special trains notified by Western Railway till date has gone upto 16 trains with 344 services. These special trains will run on special fare. Train No. 09724 Bandra Terminus – Jaipur (Weekly) Superfast Special train will leave Bandra Terminus on every Thursday at 06.15 hrs to reach Jaipur at 03.10 hrs the next day. This train will run from 4th April to 27th June, 2019. Similarly, Train No.09723 Jaipur – Bandra Terminus (Weekly) Superfast Special train will leave Jaipur every Wednesday 08.10 hrs and will reach Bandra Terminus at 04.45 hrs the next day. This train will run from 3rd April to 26th June, 2019. The train will have First AC, AC II Tier, AC III Tier, Sleeper Class and General Second Class coaches. The train will halt at Borivali, Surat, Vadodara, Ratlam, Nimach, Chittaugarh, Bhilwara, Ajmer, Kishangarh and Kanakpura stations in both directions. Train No. 09622 Bandra Terminus – Ajmer (Weekly) Superfast Special train will leave Bandra Terminus on every Monday at 06.15 hrs and will reach Ajmer at 03.40 hrs the next day. This train will run from 8th April to 1st July, 2019. Similarly, Train No.09621 Ajmer – Bandra Terminus (Weekly) Superfast Special train will leave Ajmer every Sunday at 06.35 hrs to reach Bandra Terminus at 04.45 hrs the next day. This train will run from 7th April to 30th June, 2019. The train will have AC II Tier, AC III Tier, Sleeper Class and General Second Class coaches. The train will halt at Borivali, Surat, Vadodara, Ratlam, Bhawani Mandi, Kota, Sawai Madhopur, Durgapura, Jaipur and Kishangarh stations in both directions. Train No. 09021 Bandra (T) – Jammu Tawi AC Super Fast Weekly Special train will depart from Bandra (T) at 05.10 hrs on every Monday and reach at Jammu Tavi 15.30 hrs. the next day. This train will run from 15th April to 24th June, 2019. Similarly, Train No. 09022 Jammu Tawi – Bandra (T) AC Super Fast Weekly Special train will depart from Jammu Tawi at 02.30 hrs on every Wednesday and reach Bandra (T) at 10.20 hrs. next day. This train will run from 17th April to 26th June, 2019. The train will have AC II Tier, AC III tier and Chair Car. The train will halt at Borivali, Vapi, Surat, Bharuch, Vadodara, Godhara, Dahod, Ratlam, Nagda, Kota, Sawai Madhopur, Hindaun City, Mathura Jn., New Delhi, Ambala Cantt., Ludhiana, Jalandhar Cantt. and Pathankot Cantt. in both directions. Train No. 82909 Bandra(T)-Gorakhpur Weekly Suvidha special train will leave Bandra(T) at 06.40 hrs on every Saturday and will reach Gorakhpur at 18.20 hrs, the next day. This train will run from 13th April to 25th May, 2019. Similarly, In return direction Train No. 82910 Gorakhpur–Bandra(T) Weekly Suvidha special train will leave Gorakhpur at 21.20 hrs on every Sunday and will arrive Bandra(T) at 09.20 hrs on Tuesday. This train will run from 14th April to 26th May, 2019. The train will have AC II Tier, AC III Tier, Sleeper Class & General Second class coaches. This train will halt at Borivali, Vapi, Surat, Vadodara, Godhra, Dahod, Ratlam, Nagda, Kota, Sawai Madhopur, Gangapur City, Bharatpur, Achhnera, Mathura Jn., Hathras City, Kasganj, Farrukabad, Kannauj, Kanpur Central, Lucknow, Gonda and Basti stations in both the directions. Train No. 09015 Bandra(T)-Gorakhpur Weekly special train will leave Bandra(T) at 06.40 hrs on every Saturday and will reach Gorakhpur at 18.20 hrs, the next day. This train will run from 1st June to 29th June, 2019. Similarly, In return direction Train No. 09016 Gorakhpur–Bandra(T) Weekly special train will leave Gorakhpur at 21.20 hrs on every Sunday and will arrive Bandra(T) at 09.20 hrs, on Tuesday. This train will run from 2nd June to 30th June, 2019. Train No. 09411 Ahmedabad – Patna Weekly AC Special Train will leave Ahmedabad at 23.25 hrs every Monday, and reach Patna at 08.45 hrs on Wednesday. This train will run from 15th April to 24th June, 2019. Similarly, in return direction Train No. 09412 Patna – Ahmedabad Weekly AC Special Train will leave Patna at 11.00 hrs on Wednesday, to reach Ahmedabad at 19.00 hrs the next day. This train will run from 17th April to 26th June, 2019. The train will have AC II Tier, AC III Tier Coaches. The train will halt at Nadiad, Godhra, Dahod, Ratlam, Nagda, Kota, Sawai Madhopur, Gangapur City, Hindaun City, Bayana, Aga Fort, Tundla, Kanpur, Allahabad, Pt. Deen Dayal Upadhyay, Buxar and Ara stations in both directions. Train No. 09453 Gandhidham – Amritsar (Weekly) Special train on special fare will leave Gandhidham at 18.30 hrs every Monday and will reach Amritsar at 00.30 hrs on Wednesday. This train will run on 15th April to 27th May, 2019. Similarly, in return direction Train No. 09454 Amritsar – Gandhidham (Weekly) Special train on special fare will leave Amritsar at 03.00 hrs every Wednesday and will reach Gandhidham at 8.25 hrs, the next day. This train will run on 17th April to 29th May, 2019. The train will have AC II Tier, AC III Tier, Sleeper Class and General Second Class coaches. This train will halt Bhachau, Samakhiali, Santalpur, Radhanpur, Diyodar, Bhildi, Dhanera, Raniwara, Marwar Bhinmal, Modran, Jalor, Mokalsar, Samdari, Luni, Jodhpur, Gotan, Merta Road, Degana, Khatu, Chhoti Khatu, Didwane, Ladnun, Sujangarh, Ratangarh, Churu, Sadulpur, Hisar, Ludhiana and Jalandhar stations in both directions. Train No. 09051 Udhna – Agra Cantt Weekly Super Fast Special train will leave Udhna at 18.20 hrs on every Thursday and will reach Agra Cantt at 11.40 hrs on Friday. This train will run from 11th April to 27th June, 2019. Similarly, Train No. 09052 Agra Cantt – Udhna Weekly Super Fast Special train will leave Agra Cantt. at 13.40 hrs on every Friday and reach Udhna at 07.00 hrs, the next day. This train will run from 12th April to 28th June, 2019. This train will have AC II Tier, AC III Tier, Sleeper class and General Second class coaches. 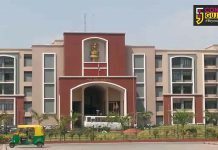 The train will halt at Surat, Bharuch, Vadodara, Godhra, Ratlam, Bhawani Mandi, Kota, Sawai Madhopur, Gangapur City, Hindaun City, Bayana and Fatehpur Sikri stations in both directions. The booking for Train No. 09724/ 09622/09453 & 09051 will be opened from 31st March 2019 with Advance Reservation Period of 120 days at all PRS counters and IRCTC website.